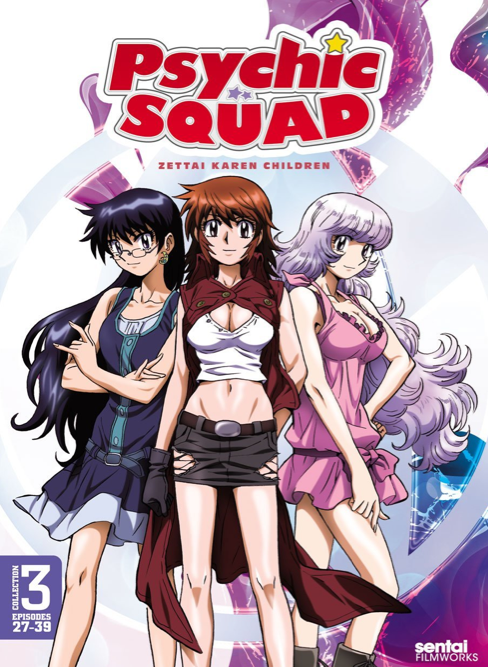 I quickly blazed through the addictive third DVD collection of Zettai Karen Children collection (US title: Psychic Squad) just days after finishing the last batch of episodes. Released back in September 2012, Psychic Squad collection 3 includes episodes 27 to 39 in a double-disc DVD collection priced at $49.98. As with the previous two sets, the extras are sponsor bumpers, clean OP/ED videos and trailers for other Sentai Filmworks titles. 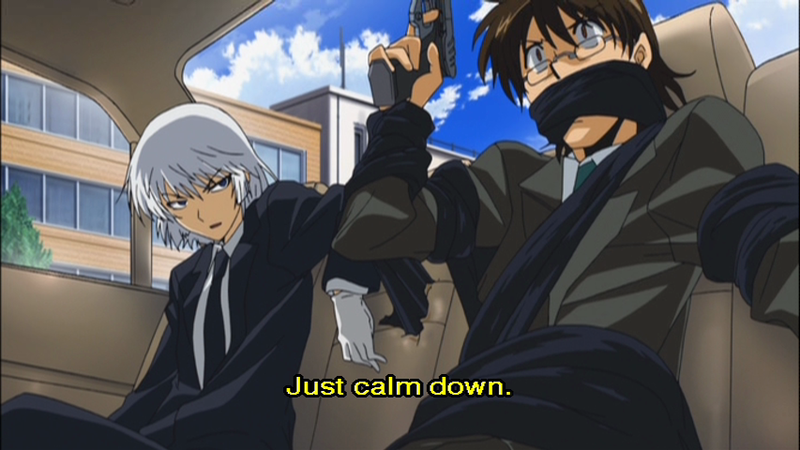 Zettai Karen Children has no English dub so the only language option is Japanese audio with (optional) English subtitles. With the first two sets having introduced us to the main characters, the series is now free to explore the main storyline in more detail. This often boils down to Minamoto worrying about the grim vision of the future he was shown by psychic dolphin Ikyuugo at the end of the the second DVD collection. Although there are just as many episodic hijinks as ever, the knowledge of what might come to pass if Ikyuugo's prediction is correct gives the story a much darker feel. 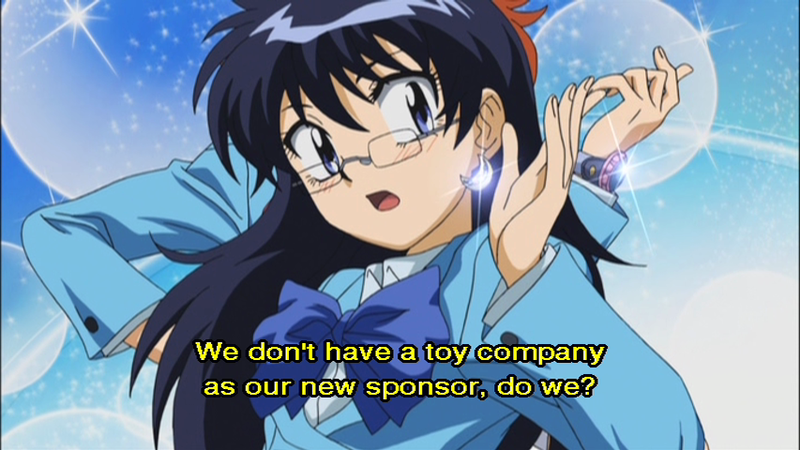 I said that everyone had been introduced, but that's not quite true; these episodes also mark the debut of one more major character: Tsubomi Fujiko. Tsubomi is the impulsive founder of the organisation The Children and Minamoto work for - and she happens to have a complicated history with their enemy, Hyoubu Kyousuke. Tsubomi is also voluptuous and self-confident; at once a powerful esper and a dreadful tease. Whenever she joins in, she provides B.A.B.E.L. with a much-needed offensive edge in battle. Although my reviews are always strongly biased towards the older characters, The Children themselves haven't been forgotten. As well as learning more about one another and making new friends, they've received some upgrades to their powers as they gradually discover how to use them in new ways. Minamoto helps guide them with advice and the occasional technological enhancement. It's refreshing to see all three of the girls changing over the course of the series and becoming more confident in what they can do. The reason that The Children need to keep improving their combat skills is mainly thanks to recurring villain Hyoubu Kyousuke. His pro-esper P.A.N.D.R.A. organisation has begun its campaign in earnest, recruiting all kinds of disaffected espers and causing trouble for Minamoto and his young charges. One of the strengths of the series is that the esper villains are highly sympathetic; if it wasn't for their brutal sense of justice they'd be on the same side as the heroes most of the same time, especially because P.A.N.D.R.A. members are implicitly forbidden from harming the three main characters. Several episodes involve Hyoubu giving The Children advice or concluding that Minamoto isn't a bad guardian for his beloved Queen after all. While P.A.N.D.R.A. exists in a grey area, morally speaking, the last few episodes in this DVD set introduce a much less charming threat. 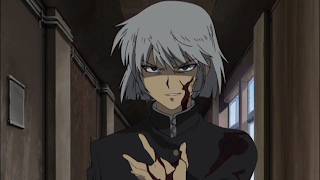 The mysterious organisation Black Phantom is pitting espers and Normals against one another in a bloody struggle, making the group a natural enemy for both Minamoto and Hyoubu. The people behind Black Phantom are ruthless. Together with Ikyuugo's ominous vision of the future, it seems that our heroes will be facing a number of challenges in the years to come. The episodes on these discs are accompanied by a brand new opening sequence. The new theme song MY WINGS is performed by the Karen Girls again and while it's slightly less catchy than the original, it does the job. In contrast, the new ending song Break+Your+Destiny is sung by the three main male cast members: Minamoto, Hyoubu and Sakaki. It's an upbeat song full of guitars which wouldn't be out of place in a classic 90s anime, leaving me itching to watch the next episode every time. 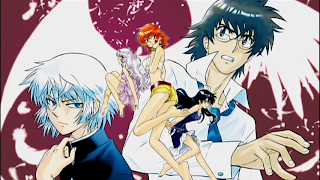 The visuals include some stunning illustrations of all of the main characters drawn in the style of the manga. I fancy that the animation quality has improved since the show began as well. 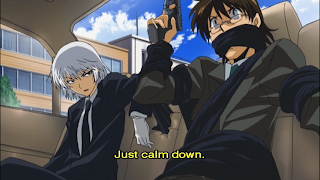 The relatively low budget and old-fashioned character designs still ensure that Zettai Karen Children looks much older than it is, but characters seem to be on model more often and the action scenes look better than ever. With this DVD set the series moves away from the emotional world-building and heads towards a darker story arc. Given that there's only one batch of episodes left to watch before my time with the Zettai Karen Children anime is over, I'll be continuing with the 34 volumes of Shiina Takashi's manga as soon as I'm done. It's been a while since a series has captured my imagination so well; this western release deserves to be receiving far more attention than it has had so far!